Dallas dentist that does cosmetic dentistry, including dental implants. If you have a dental emergency, like a broken tooth or a lost filling or a bad toothache, we will get you in promptly! This website is a resource we hope you’ll find both useful and interesting. To find out more about our in-office discount plan, click the button below. Existing patients Click here to make a cleaning appointment. 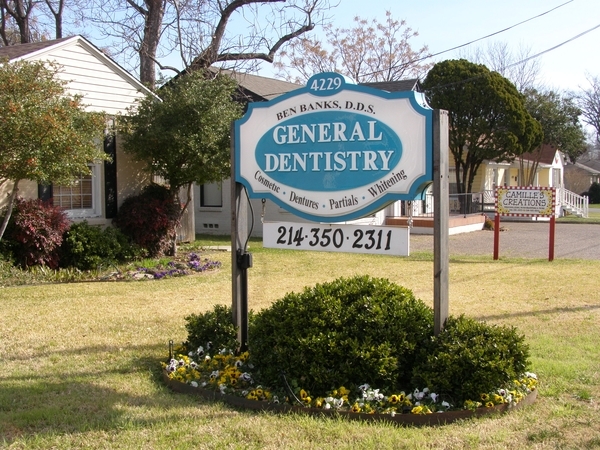 Dallas dentist, Ben Banks, DDS is dedicated to general, family, and cosmetic dentistry with services including dental exams, dental makeovers, teeth whitening, daVinci veneers, porcelain crowns, dental implants, CEREC and more. Please call our dentist in Dallas, TX to schedule your next appointment.